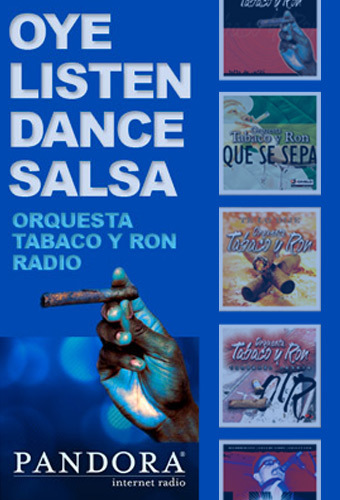 Orquesta Tabaco Y Ron is a 12 piece “Big-Band” orchestra, composed of musicians from all over Latin America including Puerto Rico, Cuba, Costa Rica, Venezuela, Peru, Colombia and Mexico. OTR’s high-energy, hard-edged brand of salsa music has appealed to devoted salsa dancers and Latin music DJ’s worldwide. OTR’s contagious rhythms produce an energy that revives the almost extinct salsa sound of generations past. 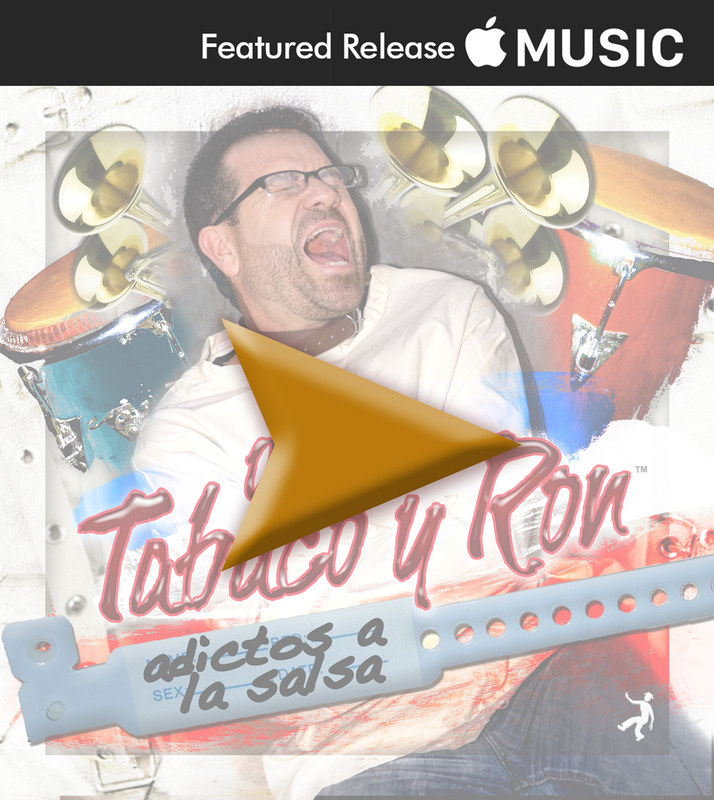 Hector Manuel Rivera has produced and arranged all the Orquesta Tabaco Y Ron productions. He has solely recorded, engineered and mastered the majority of their releases. 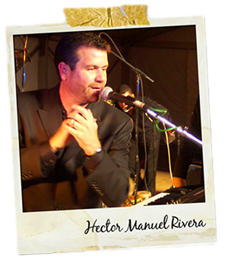 He is also the piano player, band leader and is known to his fellow musicians as “El Pianista Del Barrio.” Born and raised in San Juan, Puerto Rico, Hector Manuel discovered his passion for music at the age of nine while being inspired by such artists as the Sonora Ponceña and Papo Luca on the piano. These great artists influenced the young aspiring musician to become fascinated by the sound of salsa music, later triggering him to become obsessed with the piano. Hector Manuel would eventually claim the piano as a musical weapon of his own. 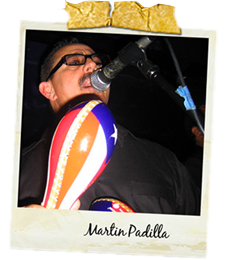 Martin Padilla, the distinct lead vocalist of Orquesta Tabaco Y Ron, possesses the power to captivate audiences with his authentic tone. Referred to as “El Sonero del Barrio”, Martin was born in Yaucco, the coffee growing zone of Puerto Rico. His musical style was greatly influenced by the old-school salsa greats such as Willie Colon, Johnny Pacheco, Sonora Ponceña, and other legendary Fania heavies. Martin is an essential part of the make-up of OTR. His influence can be heard on all the bands songs, through original compositions and amazing improvisations, also known as “soneos”. Eric Francis Torres Jimenez, co-lead vocalist for Orquesta Tabaco Y Ron was born in San Jose, Costa Rica. From an early age Eric started gaining interest in music which was inspired and motivated by his father Marcos Torres. Having incredible aspirations, Eric made the decision to expand his career by traveling to Los Angeles. In California, Eric was promptly introduced to and joined a Salsa Band called the “Latin Fusion Band”. 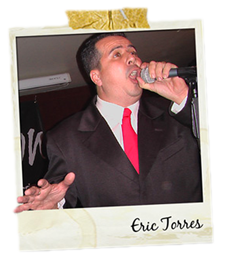 In a short period of time Eric’s name became popular among Salsa musicians and various music directors; such connections earned him contracts to sing as a back-up singer for many well known Salsa singers such as Oscar De Leon, Tito Nieves, Gilberto Santa Rosa, & Celia Cruz. In 1999, Eric joined Orquesta Tabaco Y Ron and has continued to delight fans with his highly successful performances in the United States and other parts of the world.